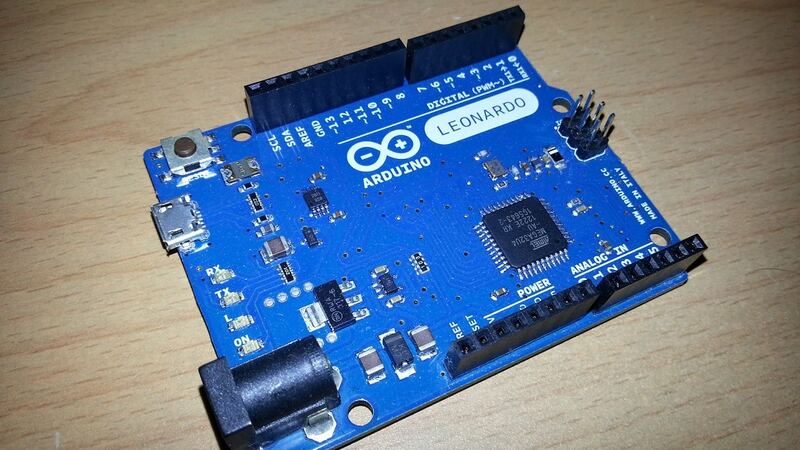 Are you ready to start your Arduino programming project? 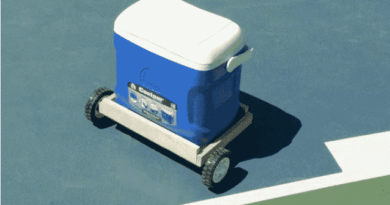 Or you have been doing the Arduino project for a while. What programming languages do you choose? 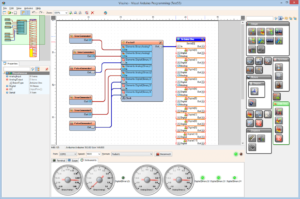 If you are not a software expert, visual programming tools might be helpful. 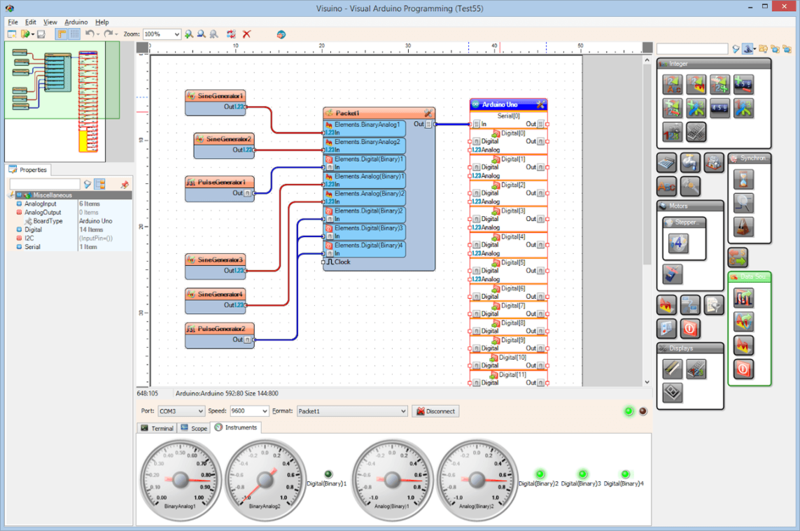 Visuino is the visual programming environment for Arduino allowing developers to build Arduino programs on PC and compile the programs for Arduino boards and other connected devices, sensors, and circuits. The components in Visuino are the hardware components, so you can easily design the program by using drag-and-drop to build the function you need. 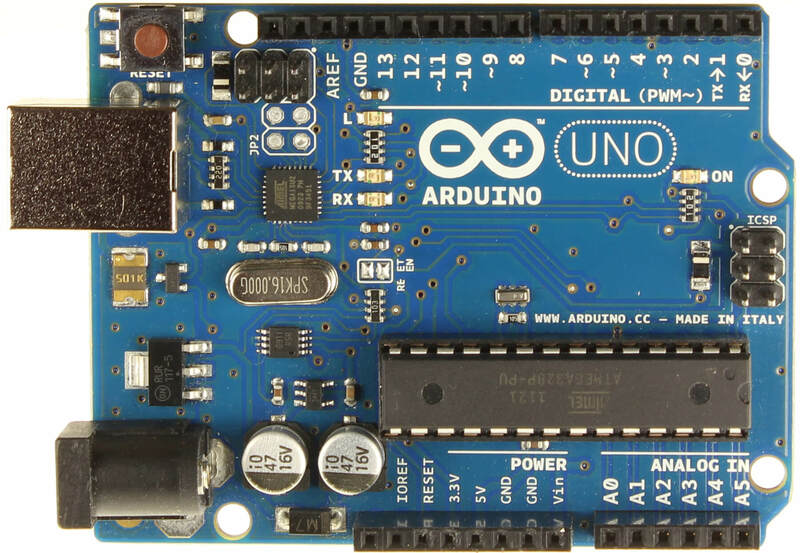 Visuino now supports official Arduino boards, ESP8266, Controllino, Goldilocks Analogue, and number of Arduino clones. 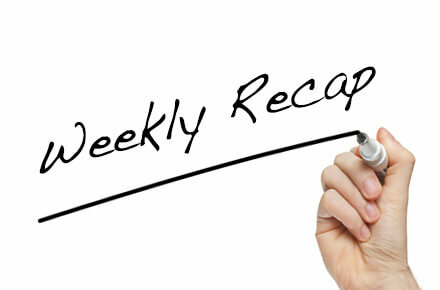 If developers have requests to support new hardware, they will be willing to work on that. No matter for young kids or junior developers, using Arduino boards and the visual programming tool is a good way to start learning technology and programming. 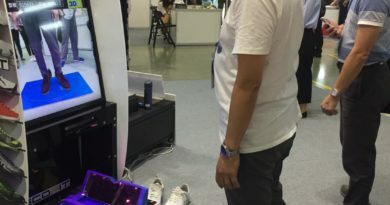 With the combination of inexpensive device and tool, developers will be able to create new things and integrate with the world more easily instead of being suffered from complicated programming codes. You can download a trial at https://www.visuino.com/. Also, know more about Visuino: read the FAQ on the Visuino site.